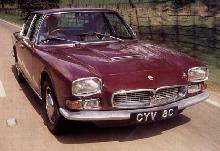 Maserati's first four door model made its debut in 1963. 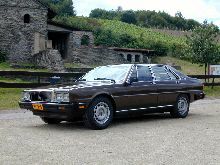 The new car, known as the Quattroporte - meaning "four doors", had a graceful saloon body and was powered by a 4.1 litre V8. 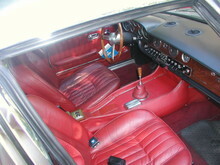 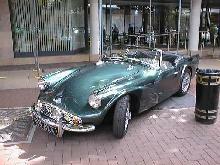 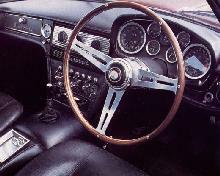 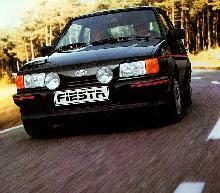 The V8 featured the usual quad cam-shafts, four Weber carburettors and a choice of manual or automatic transmission. 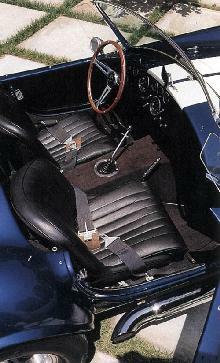 Original Quattroporte's had a de Dion rear axle, later cars (from 1967) used semi-elliptic rear suspension. In 1968 an optional 4.7 litre V8 engine became available which ensured the Quattroporte retained its place as the fastest saloon car in the World.